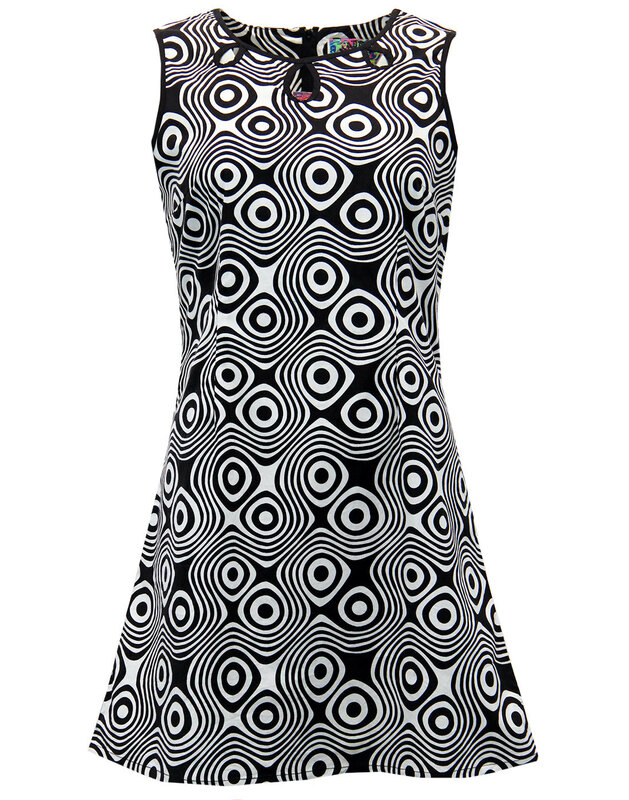 Style of the week is the fabulous Madcap England 'Lazy Daisy Op Art' Dress. Packed with gorgeous Retro style this 60s inspired dress is sure to look amazing in the Spring/Summer season. 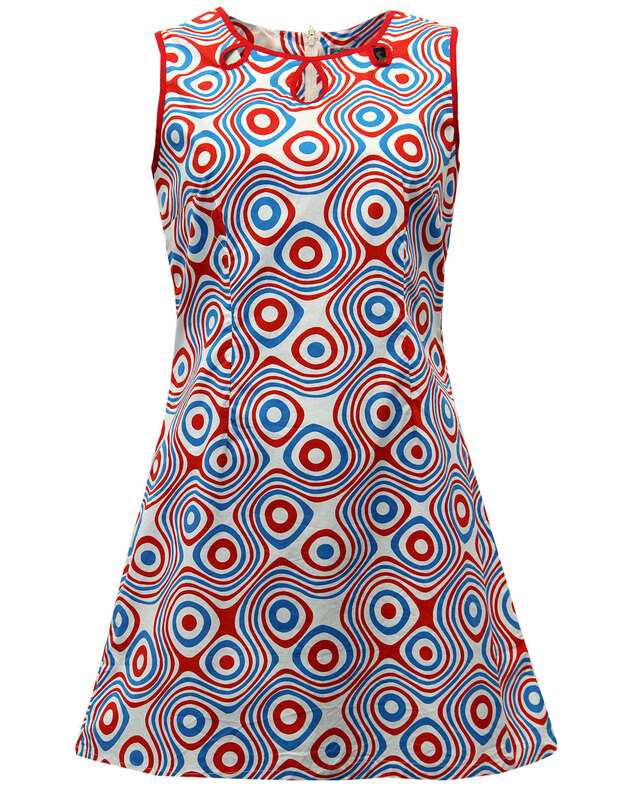 The cool psychedelic dress boasts Retro style and is perfect for them sunny days! 'Lazy Daisy Op Art' has just arrived brand new for SS16! Influenced by 1960s boutique fashion, expressive colours, Op Art motifs and a twist of Psychedelia. It comes in two colour themes; a classic black & white and a vibrant red, blue & white! 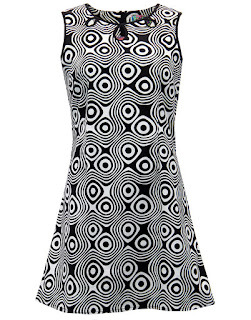 The stunning dress incorporates swirling psychedelic wavy lines and abstract Mod target patterns. Finished with a elegant and demure rounded collar is accentuated by a fabulous keyhole daisy collar detail. A fab sleeveless dress with fab Vintage look A-line skirt! 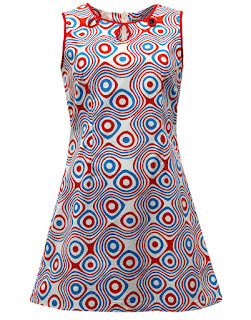 Shop Madcap England 'Lazy Daisy Op Art' Dress. Madcap England's top picks for Summer, make sure you look great the whole season! Teaming together some of our fave clobber to create awesome outfits which boasts retro style. 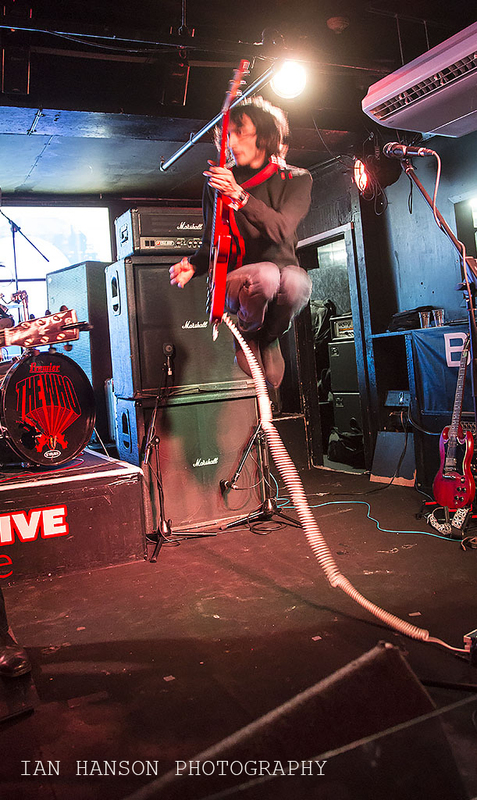 Who's Next - Europes Number 1 tribute band for The Who play at the The Cavern, Liverpool for a sold out show in the Cavern's Live Lounge! The Cavern is a legendary club that has seen some of the most iconic acts of the music industry. In 1961 The Beatles had their first performance at the Cavern which featured John Lennon, Paul McCartney, George Harrison, Stuart Sutcliffe and Pete Best on drums. They soon became the Cavern's signature act and the band were always nostalgic about the Cavern! The show was a set from Who's Next. The first half was made up of early Who songs and R'n'B tracks including some quite rare, and even more rarely played live songs. The second half of the show was the Who's huge hits and rock anthems. They rocked Madcap England clothes on the legendary stage. Guitarist Dante Di Carlo wore Madcap England 'Racing Coleridge' jumper with a pair of Madcap England 'Casbah' Beatle boots. 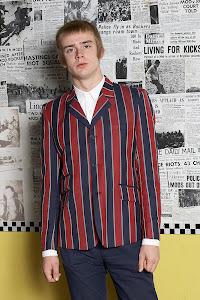 Also singer Gary Charman wore Madcap England 'Pinstripe Marriott' polo. Check out below some photos from the gig! All images © Ian Hanson Photography. 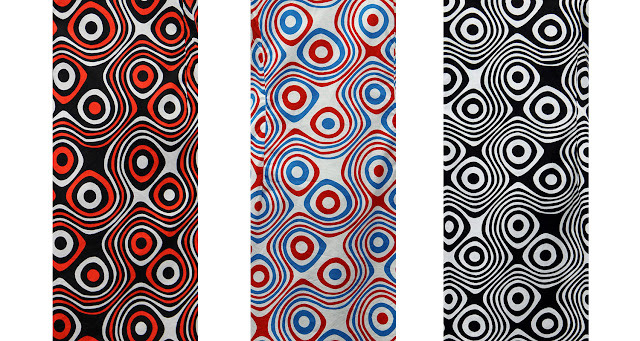 If you haven't noticed already... Madcap England have some of the most cracking Retro Psychedelic prints! From shirts to dresses our fantastic prints come in an array of colours, shapes and styles. Each and every one of them are packed with Retro style and definitely turns head wherever you go! What's a better time than Summer to wear these vibrant prints. Let the sun light up your colourful shirt or dress and walk proudly in your psychedelic clothing masterpiece! The polka dot print is an absolute Retro classic. Everyone and anyone wears a good ole' polka dot print and they look fantastic in an array of colours! An op art print is a psychedelic 60s masterpiece. In a range of vibrant colours and amazing swirling op art motifs they look fantastic on shirts to dresses! 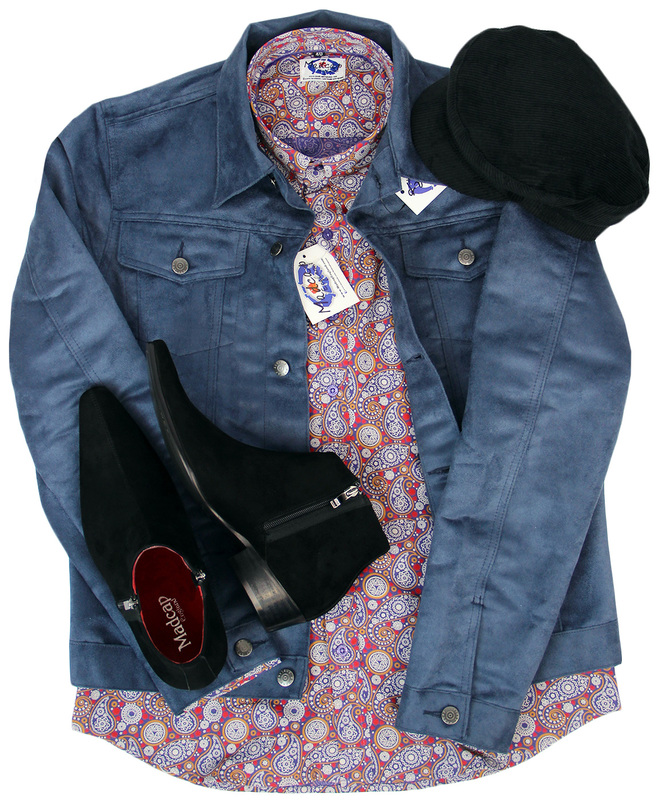 Style of the week is the fantastic Madcap England 'Marquee' denim jacket. 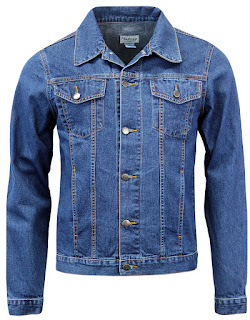 Packed with Retro style this Western denim jacket is sure to come in handy for the Spring/Summer season. 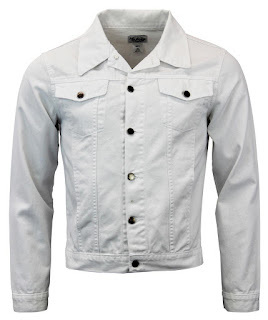 The cool jacket boasts Retro style and is perfect for them chilly days! Inspired by Mod icon Keith Moon (commemorated by a blue plaque at 90 Wardour Street, home of the Marquee Club), The 'Marquee' was first developed a few seasons back, but always returns for the Spring/Summer season. Available in white or blue, it is sure to add cool Retro style to any outfit. The slim fit denim jacket features Western styled pocket detailing, Mod fold over collar and classic metallic buttons. The slim fit tapered cut gives it a neat indie flair, with side tab adjusters to hem. 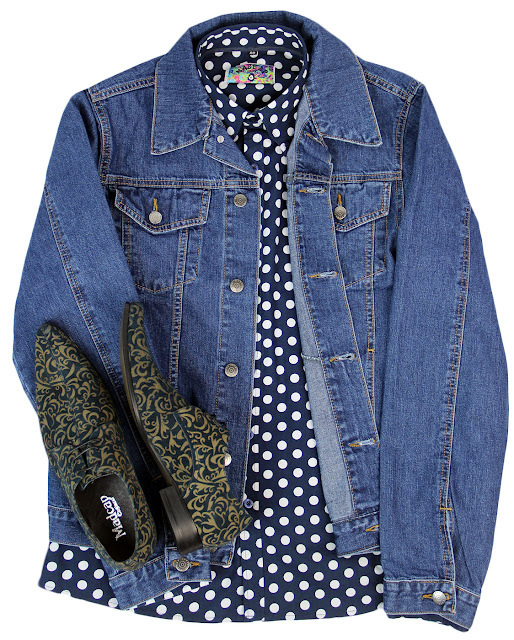 The polka dot print is an absolute Retro classic, it adds psychedelic style to any outfit. Like most styles in fashion they come and go but the polka dot never disappears entirely! But have you ever wondered where the trend started? The polka dot did not exist prior to the mid 19th century as machines were required to create the even spaced dots. When industrial machines developed, they could create the perfect polka dot! During the 1830's the polka dance craze was thriving, they adopted the polka dot print and used it on dresses when performing. They soon became associated with each other and it created a polka dot mania! From the 1830's to the 1930's the polka dot print came and went like most fashion trends. The popular pattern was used everywhere from clothing to household objects. There was times where the polka dot print hit the fashion bulls eye! The polka dot popped back into trend during the 1930's and was the height of fashion. The polka dots were usually small and dainty which were more popular among women. The pattern was traditionally used on classic colours such as black, navy and red which is still used to this day. You typically see a white polka dot print on a vibrant colour background, which really makes the polka dot pop! During the 1940's the polka dot drifted out of fashion. Fashion had to become simple and conservative during the war because fabrics and patterns became luxury and not a necessity. The print became a classic and reserved design which was often only worn by people with money or high status. The polka dot print burst back into fashion during the 50s! Everything featured the psychedelic pattern from men's neck ties to women's dresses. It went from a quiet print in the 40's to a bold print but it still remained a level of class. The polka dot print in the fifties was quite often considered as cute and dainty, using black, white and pink for colour schemes. 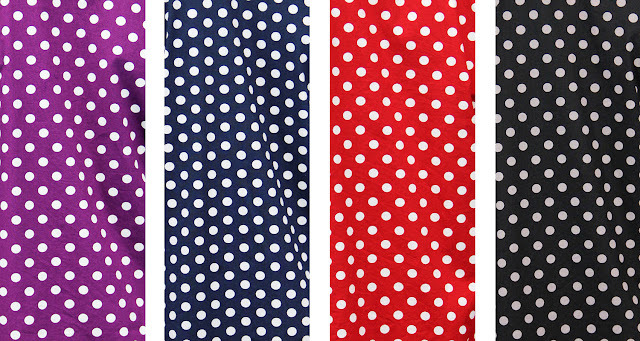 During the polka dot craze, men often sported the polka dot print on accessories such as neck ties and handkerchiefs. The print was popular among pin up girls, which meant every woman wanted a polka dot print swim suit or cute dress with a sweet heart neckline! Silver screen stars such as Marilyn Monroe often wore the polka dot print in forms of swim suits and dresses. This gave the polka dot trend a massive boost as Marilyn Monroe was considered a massive fashion icon on the 50's. The 60's was the era of pop art and the polka dot print thrived. The sixties were all about making a statement, from vibrant colours to daring prints, you were sure to stand out from the crowd! Designers such as Mary Quant combined daring bright colour palettes with bold prints to create eye popping mini dresses. This use of the polka dot print was never seen before the 60's but people loved it. Not just women wanted to make a statement, men did too! They rocked the polka dot print which often featured on classic mod shirts. Using the same traditional idea of the 30's using a white polka dot on a coloured background, it created a boom in psychedelic shirts! 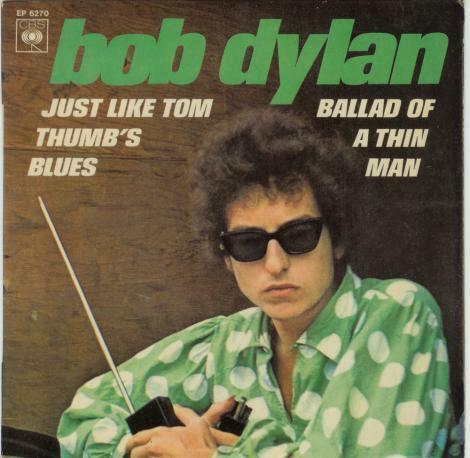 Sixties icon Bob Dylan sported the print on a 1965 album cover 'Just Like Tom Thumb's Blues'. Wearing a polka dot shirt with a vibrant green backdrop and an all over large white polka dot print. The 60's changed the polka dot forever, ever since then the polka dot has thrived. The print is considered fashionable and is often found on clothing, accessories and household décor. The polka dot has lived centuries and I'm sure in centuries to come we all still be sporting a polka dot dress or shirt! Check out below some of Madcap England polka dot masterpieces!